Ginkgo biloba, also known as ginkgo, is a simple herb used for thousands of years in China. It's believed to alter the levels of the neurotransmitter glutamate in the brain and therefore improve cognition, like thinking, memory, and concentration. But does the science support its use in improving cognitive function in people with MS? One 2007 study in Multiple Sclerosis looked at 38 people who had multiple sclerosis. Twenty were given Ginkgo biloba and 18 weren't (they got a placebo). Before they took any Ginkgo biloba, they were tested for cognitive performance. Then they took (or didn't take) Ginkgo biloba, depending on which group they were randomly put into. After 12 weeks, they were tested again. The Ginkgo group showed a bit of improvement, but not enough to be statistically significant, meaning that there was not enough evidence to be sure it wasn't just random luck. 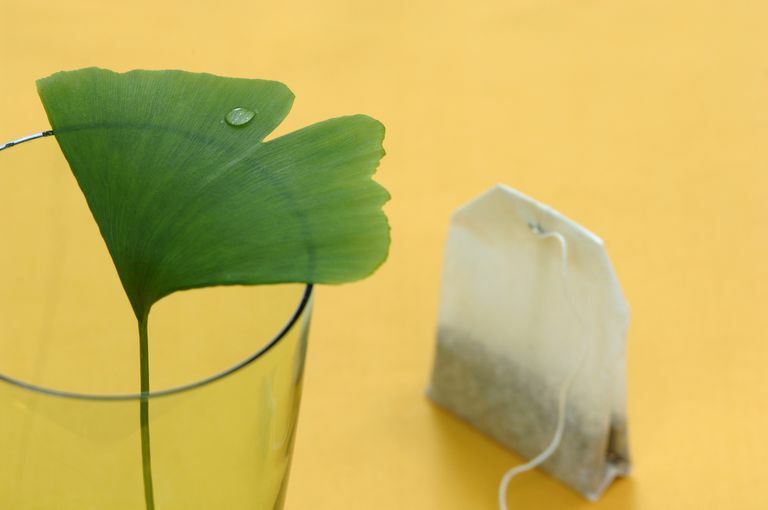 In another similar study, 22 people were put into either a Ginkgo group or a placebo group. This time the results were a bit better, with the Ginkgo biloba group showing improvement and less fatigue after the cognitive testing. Finally, a 2012 study in Neurology of more than 110 participants found that taking 120mg twice daily of ginkgo for 12 weeks did not improve cognitive performance. So Does Ginkgo Help Cognitive Function? Considering these studies, right now there isn't much to scientifically justify taking Ginkgo biloba to help with cognitive dysfunction in multiple sclerosis. Of course, this may change as more and better studies are done, but the results to date show that it's ineffective in helping people with MS. Meanwhile, there are individuals who will swear by Ginkgo biloba, and it's great if it helped them. There are very few side effects or drawbacks to Ginkgo, apart from cost). Before giving it a try, however, be sure to review the labeling and talk with your doctor. There are some people who should not take Ginkgo biloba supplements, such as those taking blood-thinning medications or people with bleeding disorders. Your doctor can take a look at your entire medical profile and help you make a decision that's right for you. Bowling, Allen C. Complementary and Alternative Medicine and Multiple Sclerosis. 2nd ed. Demos Publishing: New York. 2007. Johnson SK et al. The effect of Ginkgo biloba on functional measures in multiple sclerosis: a pilot randomized controlled trial. Explore (NY). 2006;2(1):19-24. Lovera JF et al. Ginkgo biloba does not improve cognitive function in MS: a randomized placebo-controlled trial. Neurology. 2012 Sep 18;79(12):1278-84. National Center for Complementary and Integrative Health. (2015) Ginkgo.